Nine Frank Zappa songs arranged by Ed Palermo. Ed and his band have now been playing FZ tunes for nine years, and it shows. The tunes on this album were selected by Ed as representing the band at its best. 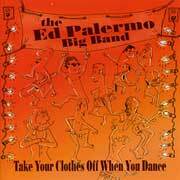 (The first Ed Palermo CD is no longer available).